I should start off by saying that this is not a guide. It is my personal experience working with Alpaca Expeditions. Getting to Machu Picchu is not difficult. There are many options. Probably the most common one is the Hiram Bingham train that connects Cusco to Aguas Calientes. It is beautiful and will cost you a little bit of cash. In case you are wondering, Hairam Bingham is credited for bringing Machu Picchu to the world. It is because of his influence that Machu Picchu is so well known today. Once you actually get to Aguas Calientes, you can pretty much purchase a bus ticket to take you up to the site. The tickets will cost you 24 dollars for a round trip. However, you can also purchase one way tickets for only half the price. If you are saving cash, you are always welcome to walk to the ruins. It will be an adventure as typical Latin American traffic is pretty crazy (I hope you have travel insurance). It seems pretty easy and straight forward now because Alisa and I had to go through the experience of figuring everything out first hand. While we were there it was very confusing and even though I can read/speak Spanish, things were not very clear. I could not imagine trying to figure everything out without knowing the language. When we first decided we wanted to go to Peru, it was about early September. We had just gotten back from a 45 day trip to Mexico, and we were kicking around ideas of where to go to next. Macchu Picchu had always been on my radar, but it never seemed like a place that I would actually visit in real life. South America is on the other side of the hemisphere and with the flights, bus rides, hotels, and the expedition, it seemed like it would be too much. To tell you the truth it is a lot. There is really no cheap way to do it. You have to invest time and money to make it a reality. In addition, you are not given a lot of time to see the ruins as they tend to rush you in and out of each section (unless you hire a guide). If you are a foreigner, you can expect to pay about 45 dollars to see the ruins for several hours. If you want to hike on any one of the two beautiful mountains that surround it, the total cost goes up to 62 dollars. Is it worth it? Yes. It is absolutely beautiful. Students and children do save a little bit of money. Here is a link to a pricing overview if you are interested. Since this was going to possibly be the only time we would ever go to Machu Picchu, we decided that we would walk the Inca trail. I have to admit that I did not know much about the Incas since Alisa and I have done the majority of our traveling in Mexico and Guatemala where the dominate cultures where the Aztecs and the Mayas. As a result, I was really excited to walk on something that carries so much historical and cultural treasure, and learn as much as I could along the way. Our problem was that we did not know anything about the area or anyone in Peru. I started by doing some quick google searches on how to hike on the Inca Trail to Machu Picchu. To my surprise there were a lot of different companies that will take you on the trail and their prices vary. The average price is some where around $600 per person for 4 days and 3 nights. However, while I was looking into each company, I realized that there are a lot of problems with scammers as well as companies that will take unknowing tourists on other routes that lead to Machu Picchu even though they paid for the Inca Trail route. The route is a lot more expensive because it is a national park. As a result, there are a lot of regulations. For example, the government only allows 500 people on the trail per day. That number includes the hikers as well as the porters and guides. That means that a group of 12 hikers is actually 30 when you include the crew. Because of the limited number of people they allow on the trail, we bought our tickets in December, 2017 for our hike in July, 2018. That is seven months ahead of time. When we bought our tickets about half of the month was completely sold out. We got really lucky because by chance I found website that tracks the capacity limit per month and found out that the month we wanted to hike was quickly filling up. Just to put it into perspective. While we were in Cusco, we ran into two girls who told us that they came specifically to go to Machu Picchu. They did not make any reservation. As a result, they were not able to go on the Inca trail or even visit the ruins because all of the tickets had sold out. They were really bummed out. While searching for expedition companies, I found Alpaca Expeditions. They had really great reviews, but their prices, at the time, were a little more than the others. While doing some more research, I found out that Alpaca works very closely with the local community to hire workers at a good working rate. Many of the employees are from the native local community. As a result they treat their workers fairly, by supplying them with work boots, gear, and a uniform (the uniform is a point of pride for the workers as it is not common). I did not realize how significant this was till we were on the trail. There were a lot of porters carrying heavy gear with sandals or old worn out shoes in the cold weather; many of the porters did not even have jackets. It was really sad. I sent them an email inquiring about the different expeditions they offered. I wrote them the message in Spanish and they responded in English and Spanish. This was great because, Alynn, does not speak Spanish and she would be able to ask them questions if she needed. In order to reserve our spots I had to put down a $200 deposit per person. They use PayPal for this. 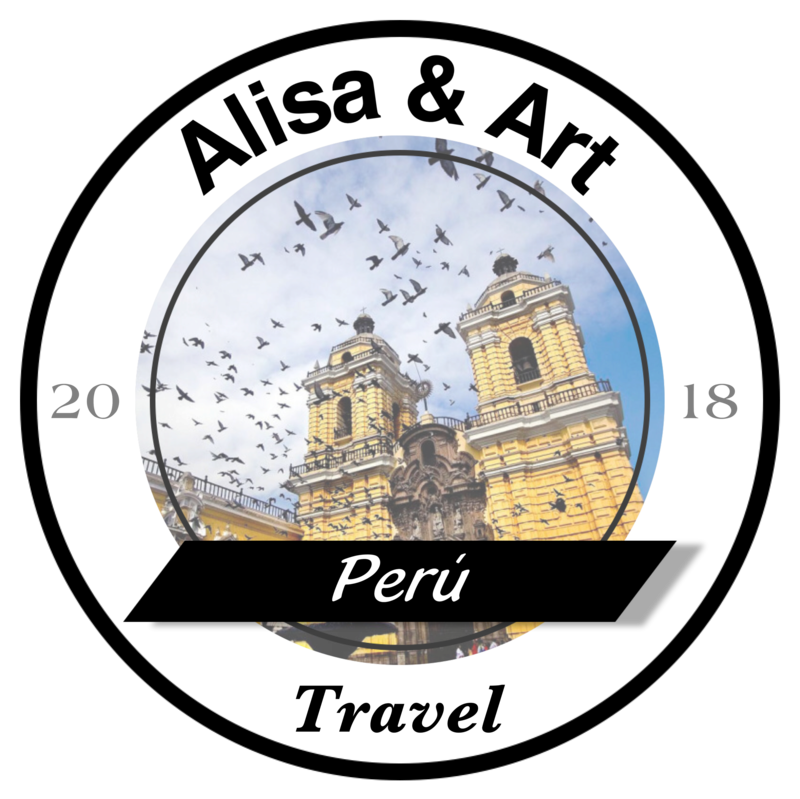 I sent them the money and a few days later I got a confirmation email letting me know that everything was in order and that I could pay the rest once we arrived in Cuzco. They prefer cash in person but would take a credit card with a heavy surcharge. We decided to rent sleeping bags, bed mats, and walking sticks for the trip which for the three of us came out to $2,145.00. It was not cheap, but how often are you in Peru? The hike would be approx 25 miles from start to finish. Each day would take us through different ruins that were only accessible through the trail. We would climb as high as 13779 ft. The total price included breakfast/lunch/dinner, tents, clean water, phone service for emergencies, and our train ticket back to Cuzco. About seven months later we arrived in Cuzco and found the Alpaca Expeditions headquarters in the north west of downtown. Once we arrived we were told that we needed to pay the remainder of the balance a day before we would depart. There was a small problem. There is no easy way to take out that much money from an ATM in one go. We found an international bank that would let you take out US currency from the ATM. I had to do several transactions of 200 dollars to get $1,200 I needed for me and Alisa. When I got to about $800 my bank cut off my card, and I could not get any more out. It was really frustrating. I managed to get a hold of them sometime later and got my card reactivated and was able to get the full amount. It was a pain. I would recommend finding another way to pay the total in full or perhaps pay it before coming to Cuzco if they allow you. The night before our trip we attended an orientation where we met the group that we would be traveling with. Our guide, Jose, was really nice and professional. He did not sugar coat anything. He said that if any of us had heart problems or any other condition that we needed to let him know right then and there because once we were on the trail, it could be days before we would be able to see a doctor. After the orientation was over, we shared some tea and talked for a little while with Jose and the others. We were given small green bags that we could fill with some personal items for the trail but we were very limited in size and weight. Counting the sleeping bag and pad we were only able to put six pounds of gear in them which is not a lot. I am gonna write several more posts on our experience on the trail and hopefully make a video. I just wanted to write down some of my experiences trying to find a good company to take the tour because it can be a little scary sending random people on the other side of the hemisphere money without knowing the laws that protect you as a consumer or even if it is a real company. We were really lucky to find this company. They were great and if we ever do it again, we will do it with them.